PT Saka Energi Indonesia is the upstream oil and gas subsidiary of PT Perusahaan Gas Negara (Persero) Tbk (PGN), Indonesia’s largest natural gas transportation and distribution company. 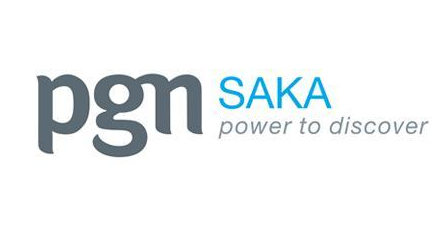 SAKA is currently managing ten PSCs in Indonesia and one shale gas block in the United States of America, three of which are fully operated by SAKA with a 100% interest stake. These are Pangkah PSC, South Sesulu PSC and Wokam II PSC. Sanga-Sanga PSC is the SAKA's latest block that was acquired by the end of 2016 and one of SAKA's oil & gas producer. Sanga-Sanga's first production was in 1974.nLocated onshore of East Kalimantan, this block contains extensive gas and oil pipelines to gather production and carry gas to the Bontang LNG plant, and oil to an export terminal. It also supplies the East-Kalimantan domestic gas market. Saka Indonesia's mission is to deliver values to our stakeholders. Aiming to be a world–class upstream oil and gas company, Saka Indonesia is committed to provide the opportunity and environment where people can grow and fully realize their potentials. Saka Indonesia Pangkah Limited is seeking a Sr. Geologist / Geologist who will be responsible for Geoscience analysis of Saka non-operating assests, bring robust technical knowledge to the team, and gives technical recommendation and input to operator and internal management. The successful candidate should have experience in reservoir development and modeling with enough flexibility to work in multiple settings, as well as, strong skills in geological interpretation and well planning. This position will join the Reservoir Maturation Team, which lead the reservoir development and reservoir studies. Manages subsurface data and study / project report. To apply, please send your application to recruitment@sakaenergi.comwith subject: "[Name] – Sr. Geologist/Geologist" no later than COB, 30 July 2017. Only shortlisted candidate will be notified for further process. FRAUD WARNING!! PT Saka Energi Indonesia (SEI) and its subsidiaries will never ask applicant to pay a processing fee, ask for money or appoint any travel agent for the recruitment process. Thanks for reading PT Saka Energy Jobs: Sr Geologist. Please share...!